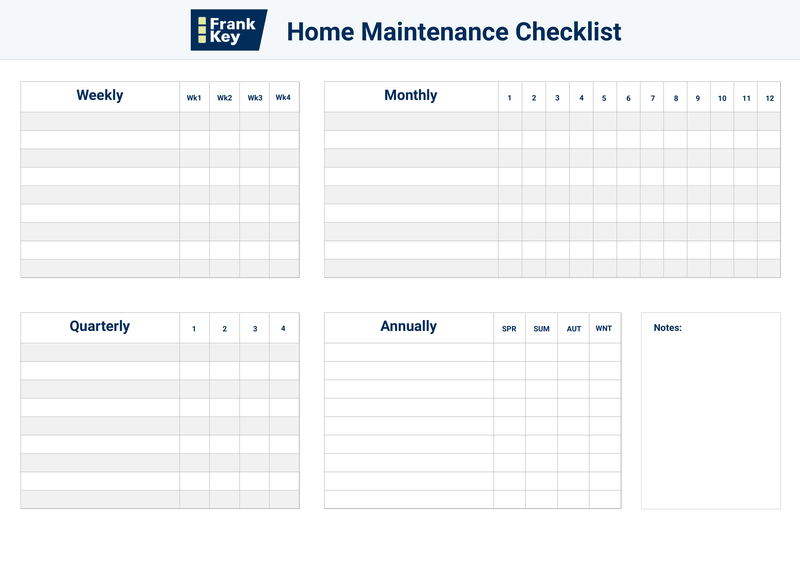 For the last part of our summer maintenance checklist, we are providing you with our very own Frank Key Home Maintenance Template. We know how daunting it can be when you don’t know where to start. Luckily, our expert team has got together and created a simple guide to get you started. Keeping up with regular home maintenance tasks will prevent any future headaches and expensive last-minute solutions. With the internet being so accessible, it has become easier for us to search for tips and tricks to get the job done efficiently. However, if you do find yourself getting stuck, please feel free to contact us as we’re always happy to help. 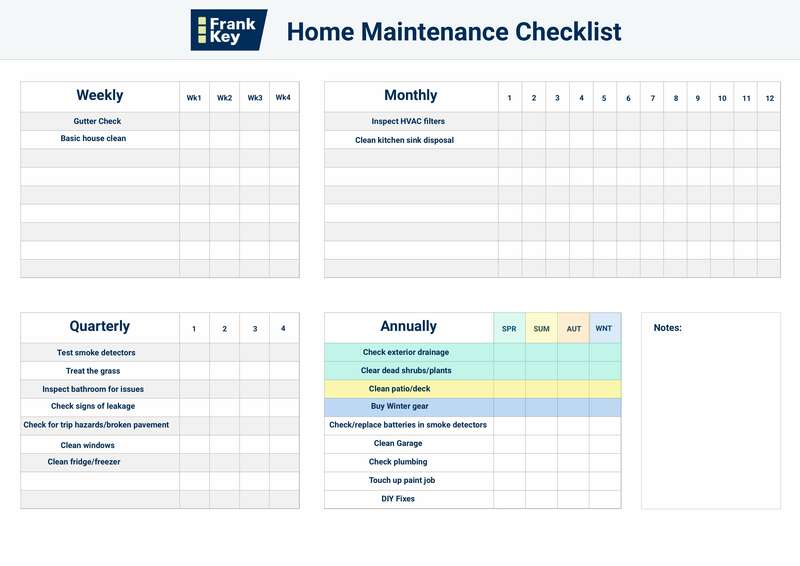 We have created a home maintenance calendar so that you don’t have to. This is a perfect way to get stuff done as it can be difficult to remember all of your maintenance tasks. We have created a version below to provide a few examples of what to include in your checklist. Remember, you should always set your own tasks to suit your schedule. So whether you are looking to touch up paint or clean your windows at a particular time of year, you can add it in your checklist template. For some of your maintenance tasks, you may need to have access to specific tools. Instead of buying machinery you will only use once a year, why not hire them instead? If you would like some extra guidance on our summer maintenance, please be sure to check out our previous articles.